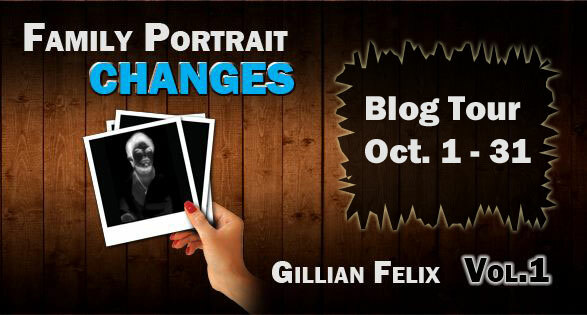 Today’s post comes to us from Gillian Felix, author of (Family Portrait) Changes, as a stop on her blog tour this month. Find out more about her on her website here, or follow her on Facebook or Twitter. I have always written. As a kid creative writing was one of my favorite subjects. I got my highest marks in that subject. Growing up I was told you have to “get a real job”. I’ve had ‘real’ jobs and it always brought me back to writing. I worked at a television studio writing Prime time news, it was fun at first but then it got depressing. I tried to put a positive spin on the stories but that’s not what ‘news’ is about. Family Portrait is the series title, it seemed fitting because the series is about family and their relationships. Under all the drama and mayhem at the end of the day it’s about family. Changes (the first novel in the series) is the pilot episode of the television series which the book was originally. Changes introduces the characters and shows how they are all connected through major changes in their lives. Adriana Banovic is a 15-year-old soap starlet and only knows that life, when she is fired, she is forced to adjust to life as a regular person. 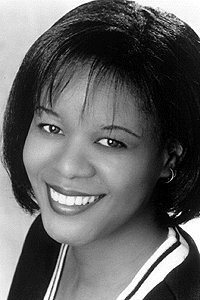 Leighann DaCosta, also 15, achieved rock star stardom from the age of 10, after a whirl wind career she walks away in favor of a normal life leaving everyone who depends on her in turmoil. Robin Banovic, Adriana’s dad is forced to sell his business plus he is dealing with the death of his father and the regret he feels for treating his father badly in the past. These characters have played around in my mind for a long time. It was a television pilot I had written, it got interest from Hollywood but nothing came of it. So I decided why not transform all 24 plus episodes into books? Maybe it’ll find an audience. I didn’t have any expectations, it’s something I do and I love doing. I love the business aspect of it as well. In my opinion good solid characters in challenging situations makes a good story, they don’t have to be likable just entertaining, with some sort of humanness about them. I don’t have a favorite genre. I’ll read anything that catches my attention within the first 20 pages. Sometimes describing a place, I’d love to be able to make readers see the place as clearly as I do in my mind, that detailing I have no patience for but I am working on it. Writing emotionally is easy so I can take the audience there emotionally with the characters because I hear their voices so clearly. Is there anything you find particularly challenging in regards to publishing? Marketing— Marketing is very tricky, I am learning and have learned a lot. It’s fun most of the time. I have a great mentor who has sold millions of books. I am working on Book 2 (The Banovic Siblings) which combines pieces of several episodes so it will be longer than the first. I also have another script called You Sang To Me, which is a romance script that I will be transferring to a novel at some point. That too had had interest from Hollywood but again nothing came of it. If you want to write then write, be true to your characters, don’t rush. If you decide to [self] publish, get a good editor it is worth it. It has been a pleasure and thank you for having me. Gillian Felix has been writing since she was old enough to hold a pencil. She enjoys creating characters that could be your next-door neighbor, but if you would want them as your neighbor is another story.